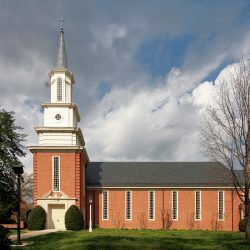 Once the initial construction of Trinity United Methodist Church was completed, the users of this newly built fellowship hall quickly realized communicating would be difficult. This was due to the overwhelming amount of echo and reverberation. 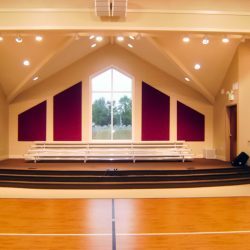 Adding the appropriate acoustical material lowered the reverb time to an acceptable level and kept the project in budget. 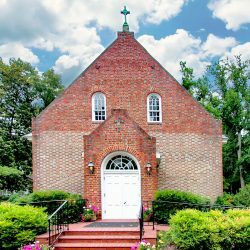 The fellowship hall supports a wide range of activities including meetings, dinners, plays and recreation. The ability to hear one another clearly is key. Excellent speech intelligibility is a must. If the room has a long reverberation time, it will be difficult to understand one another. This is particularly true with a large gathering. 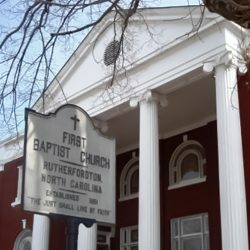 The fellowship hall had an existing reverberation (RT60) of about 8 seconds, which made it difficult to communicate. Based on the amount of material estimated for use, we were predicting an achieved reverberation time around 2 seconds. Since this was a local project, we were able take the client on a tour of other completed projects in the area. This allowed them to experience rooms with corrected acoustics. The room’s existing reverberation time was calculated using a sound meter, room dimension and empirical testing. This information was then used with the Sabine formula to calculate the amount of material required. 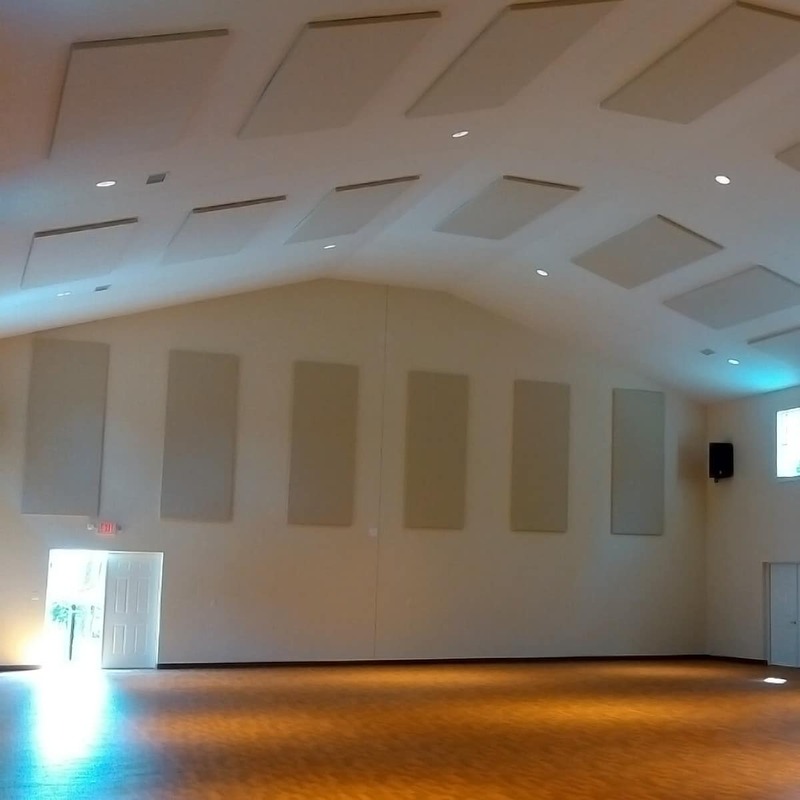 Two inch thick fabric wrapped AlphaSorb® Acoustic Panels were used in the calculation. The amount of material required was based on a ratio of absorption to the volume of the room. 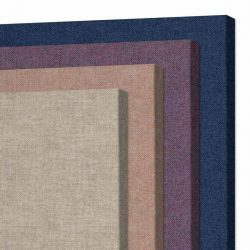 Once the amount of material was determined, a layout was created using standard sized AlphaSorb® Acoustic Panels. Consideration was taken to best fit the panel layout while avoiding windows, doors, and other obstacles. 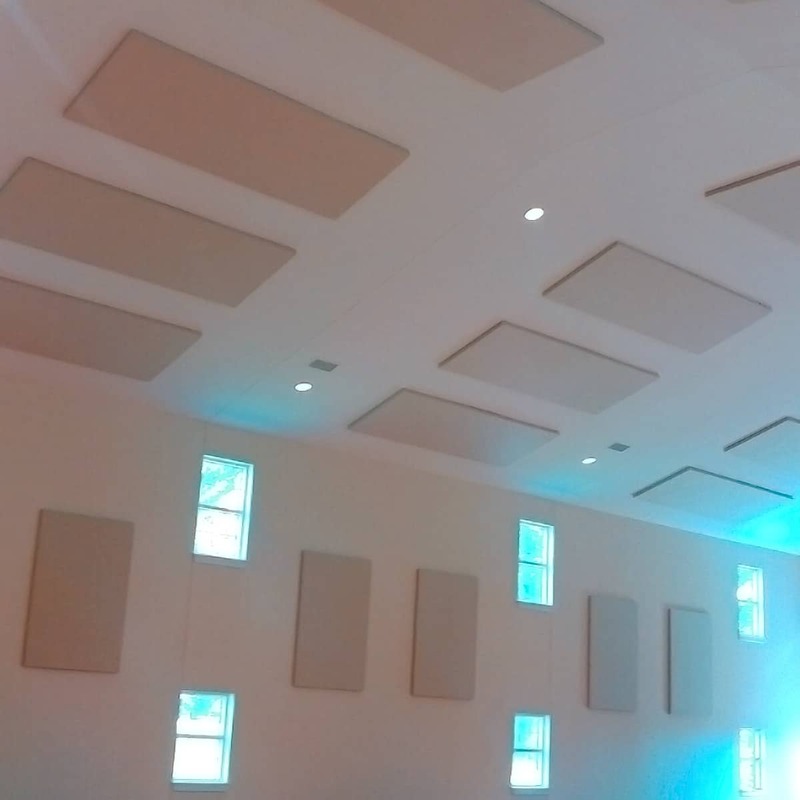 The material was spread evenly throughout the room on the walls and ceiling and installed by the Acoustical Solutions installation team. They now have a multipurpose space they can use for events, dinners, plays and other activities. 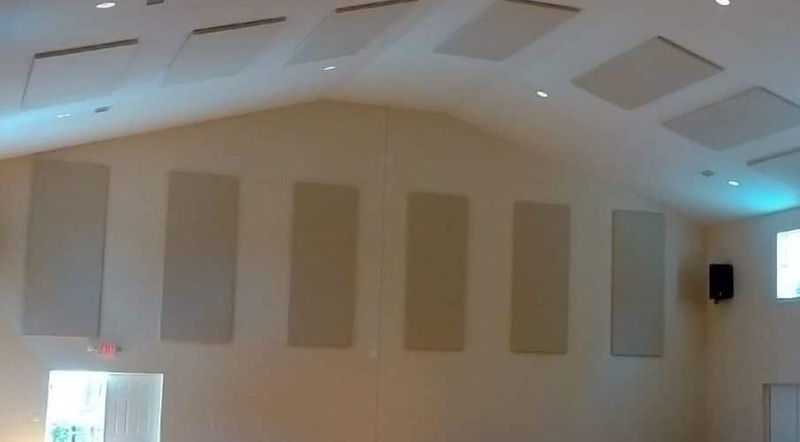 Prior to the installation of the panels, the room could have literally been used as an echo chamber. The reverberation has been taken from an 8.0 second reverberation time (RT60) down to 2.5 seconds. 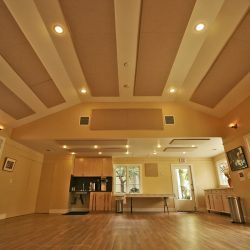 This fellowship hall was built using donor money and is the only facility of its kind for quite a few miles in any direction. 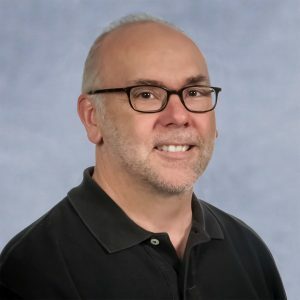 No one anticipated was inherent problem in the design of the room would be an echo problem and didn’t have the expertise to determine the correct solution. Since they were using donor money and on a tight budget, they had to get this right on the first try. They couldn’t afford a mistake. 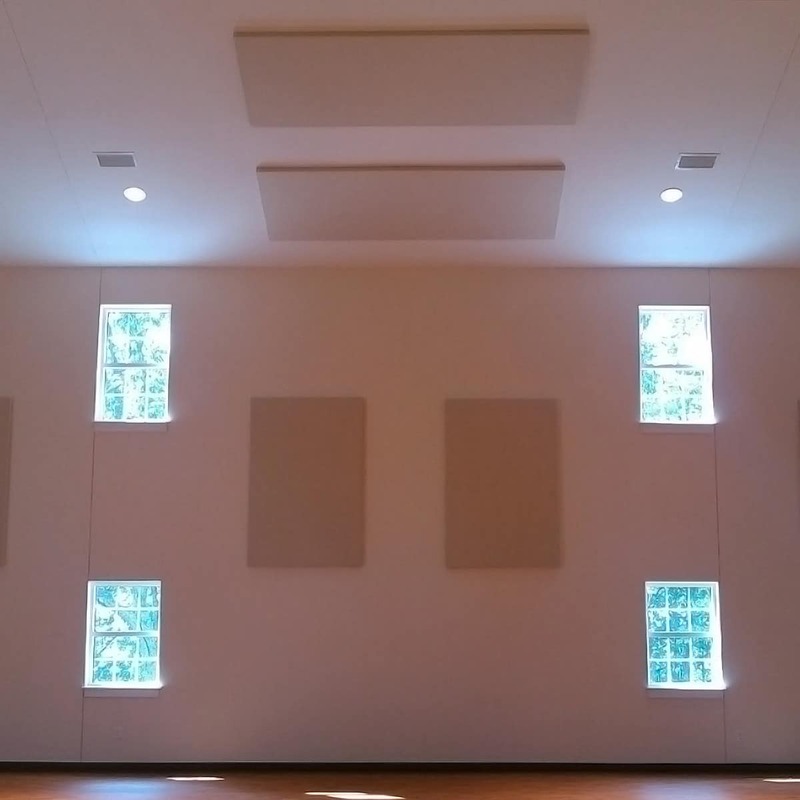 We made sure the acoustics were right for the room and that they were installed correctly. The clients were so happy and satisfied with the project, they even bought some Acoustical Solutions’ shirts to wear around town!